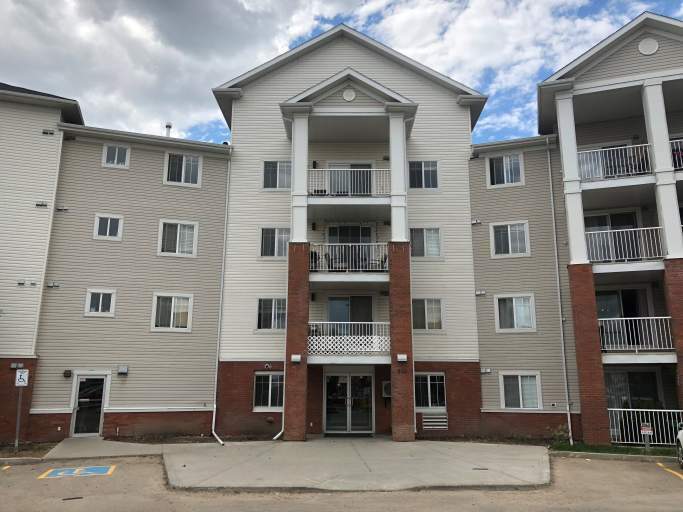 Located in the super convenient neighborhood of Terwillegar South, this fantastic building is surrounded by everything you need! From major shopping and entertainment in "Currents at Windermere' to Terwillegar Recreation Centre to parks and schools, this area has it all! Easy access to Terwillegar Drive, the Anthony Henday Ring Road and 23rd Avenue means any commute will be a breeze! The building itself offers secured entry, underground parking and even has a large fitness room! Inside the suite you'll be greeted with tons of natural light, modern laminate flooring and a great layout! The living connects to a large balcony through sliding glass doors and opens in a large kitchen and dining area. The kitchen has a ton of cupboard and counter space and features a breakfast bar and full-size fridge, stove and even a dishwasher! The unit also offers two large bedrooms, the master boasting a walk-through closet and its own private full bathroom! Another full bathroom and a decent size laundry closet with stacked front-loading washer and dryer set complete this great unit! Don't miss out on this wonderful bright condo! Call today to schedule a viewing!